The First Minister said he expected the return of trains to the Edinburgh-Tweedbank section next year would be “one of the most enormous tourist line successes we have ever seen” and act as a catalyst for restoring the rest of the historic route. He said the success of the 30-mile stretch to just south of Galashiels would “calibrate” a feasibility study into rebuilding the remaining 70 miles. A Scottish Government spokeswoman confirmed yesterday: “We will look at the possibility of commissioning a feasibility study into extending the line beyond the route agreed, if it emerges there is scope and demand to do so. “For the moment, our priority remains completing the line from Edinburgh to Tweedbank. 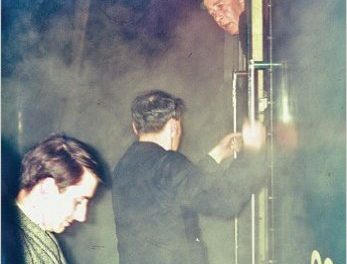 Rail campaigners and opposition politicians called for a greater commitment from the First Minister to the restoration of the line, which was one of the most notorious of the Beeching cuts 45 years ago. I for one would love to see this happen. It’s a tragedy that the line ever closed in the first place, and while the Waverley Route Heritage Association, (of which I’m proud to be a member) are doing some great work at Whitrope, that will only lead to less than a mile of operational track. There would be some fairly big challenges to overcome to reinstate the line going south; Whitrope Tunnel collapsed in 2002 and will need significant work; The trackbed through Melrose to St Boswells now has a road built on top of it, and the bridge over the Teviot in Hawick that used to carry part of the station has long since been demolished to be replaced by a leisure centre and supermarket either side of the river. Alex Salmond will have a real challenge to make the economic case; the population in the southern portion of the line is low and the build cost of the southern 70 miles must surely outweigh the £350m of thee much shorter northern section.